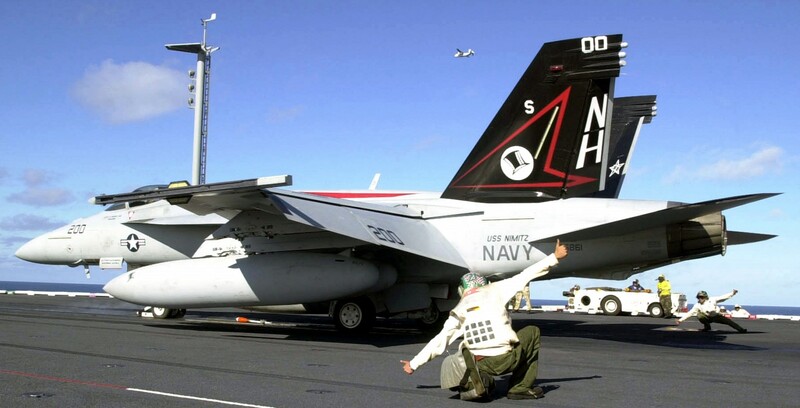 After their last F-14 cruise VF-14 and VF-41 relocated to NAS Lemoore and began the transition to the F/A-18 Super Hornet switching to CVW-11 and USS Nimitz (CVN-68). 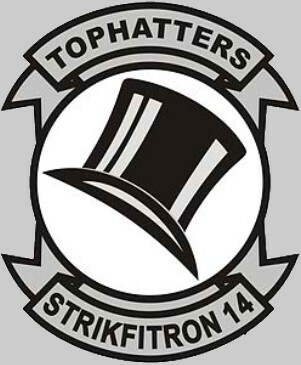 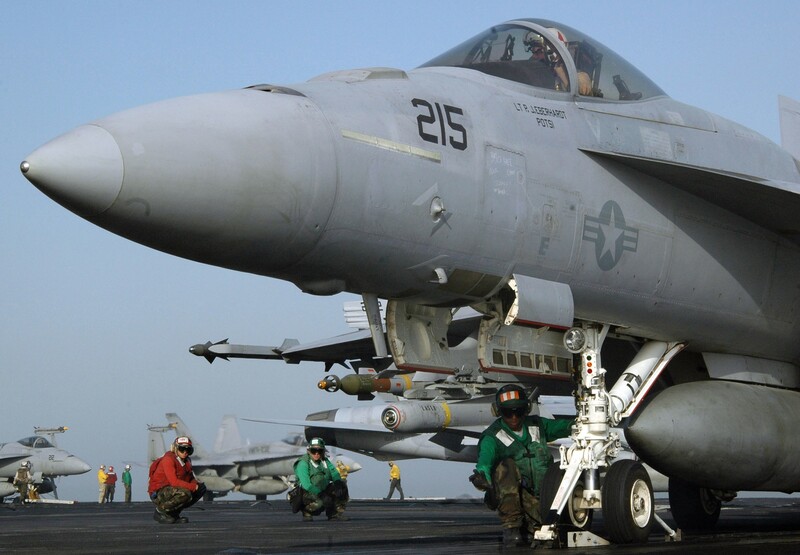 Both squadrons deployed to participate in Operation Iraqi Freedom (OIF) aboard USS Nimitz and prior to arrival in the Persian Gulf, two VF-14 F/A-18Es and two F/A-18Fs (VFA-41) were forward deployed to USS Abraham Lincoln (CVN-72) in late March 2003 to augment its airwing. 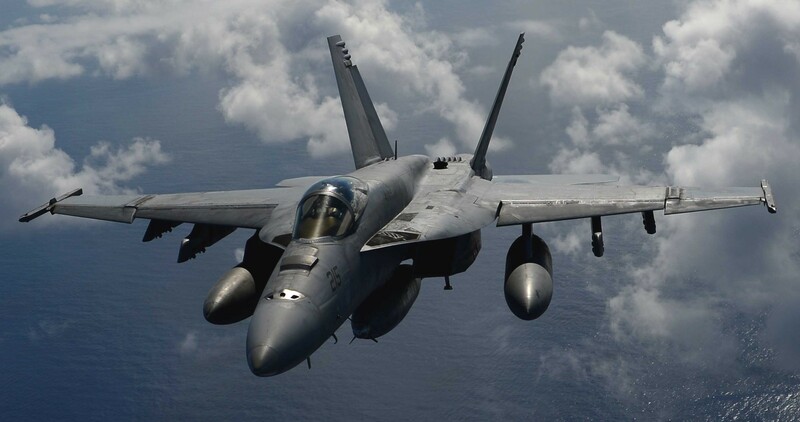 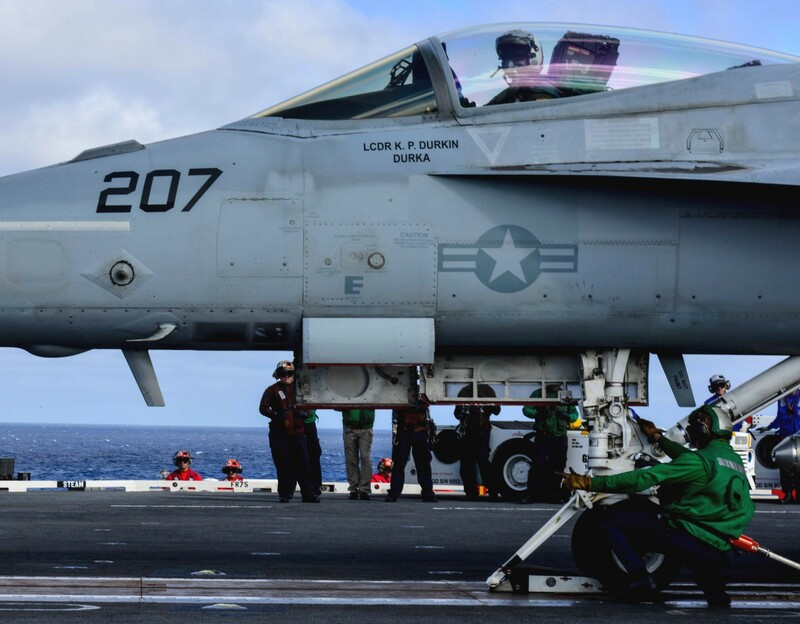 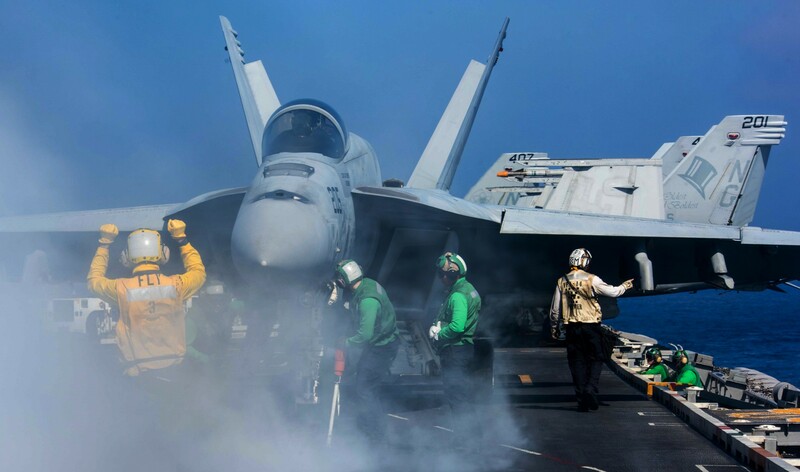 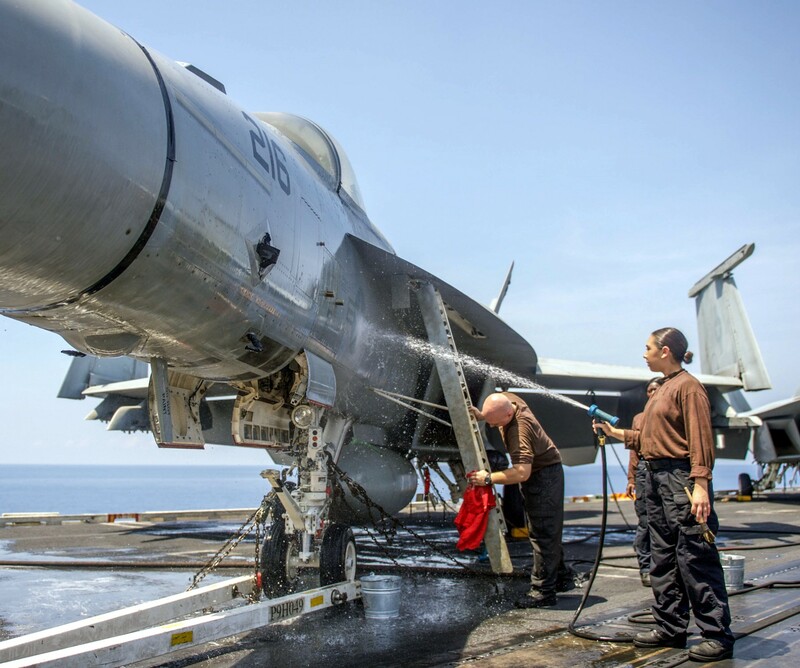 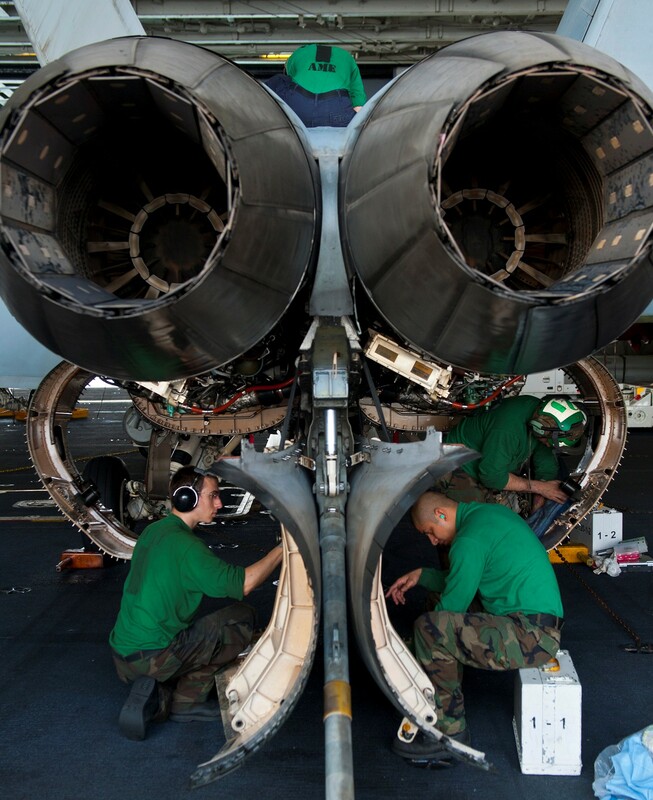 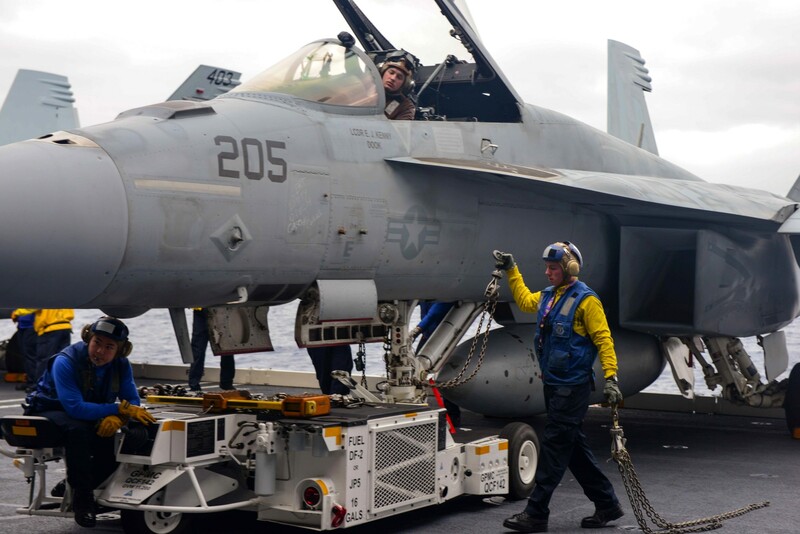 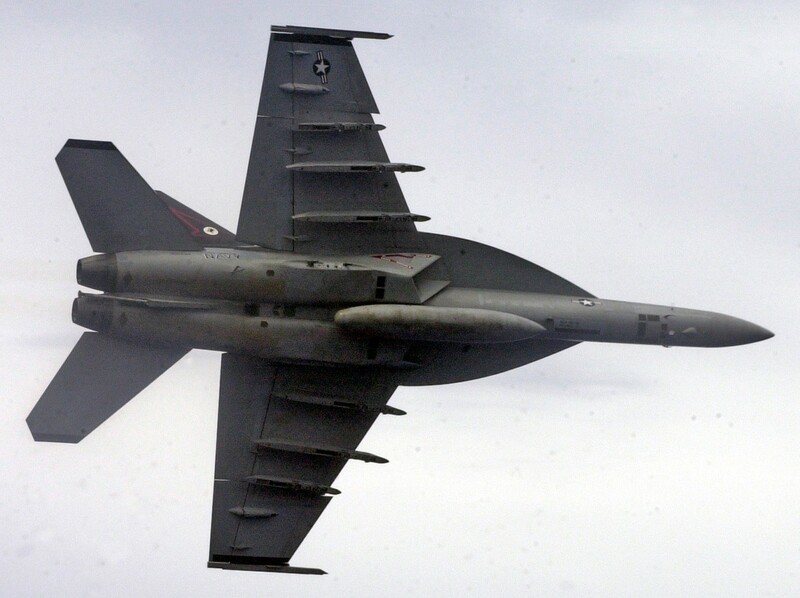 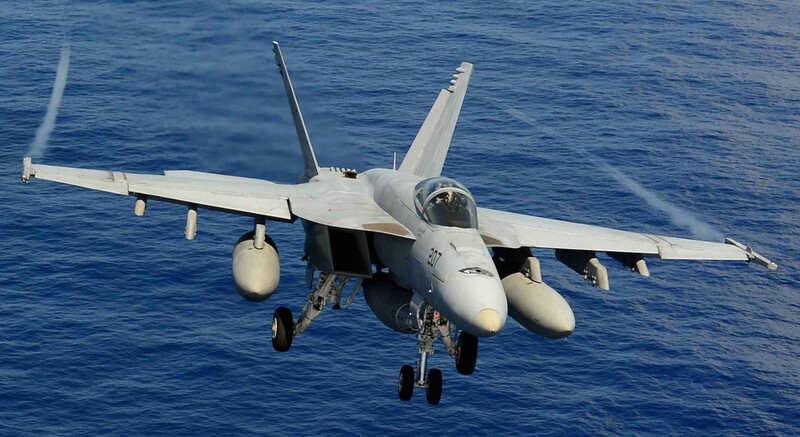 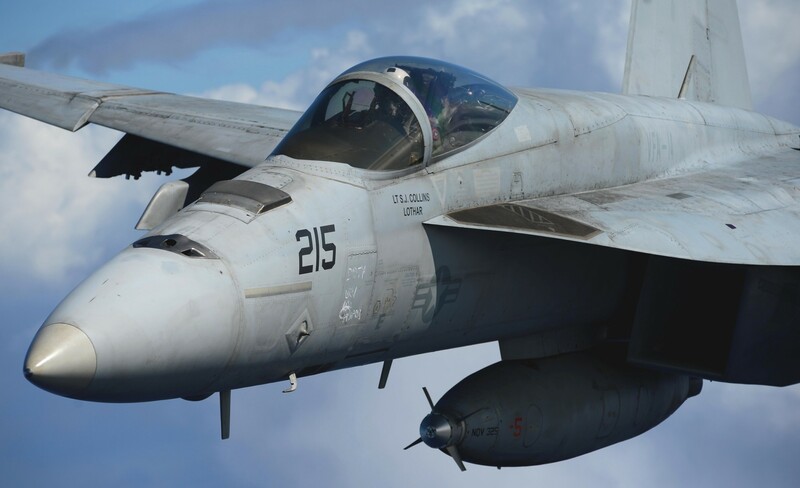 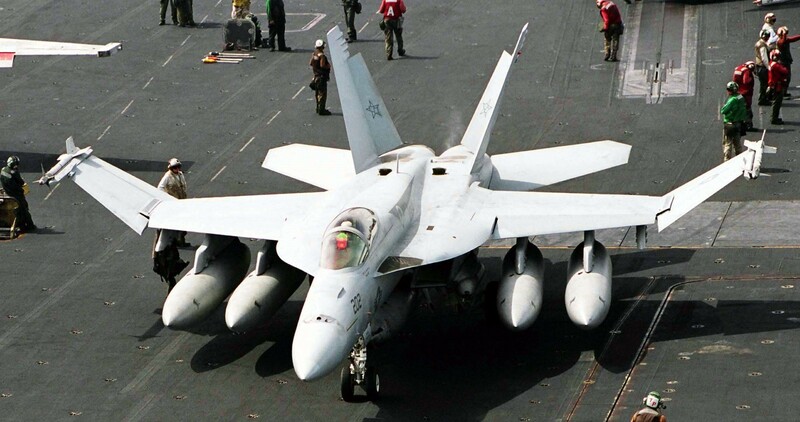 The Super Hornets were requested to boost the air refueling capabilities of CVW-14 as well as qualified Forward Air Controllers, Airborne (FAC (A)) (the F/A-18Fs). 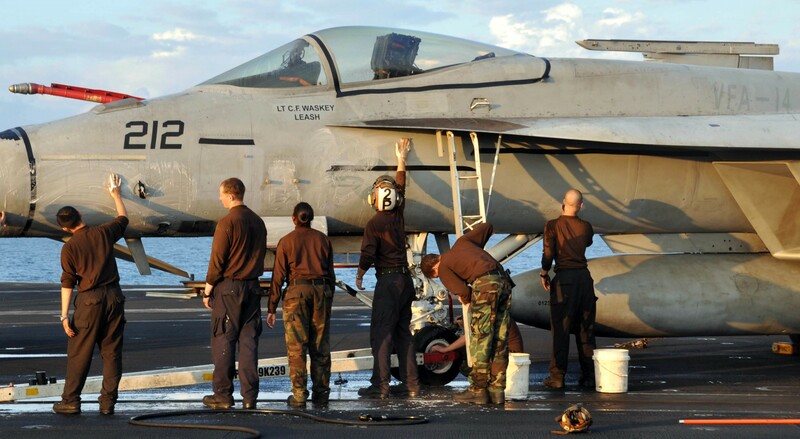 The division of F/A-18s flew from USS Nimitz to USS Abraham Lincoln, a 2,700-mile (4,300 km) trip. 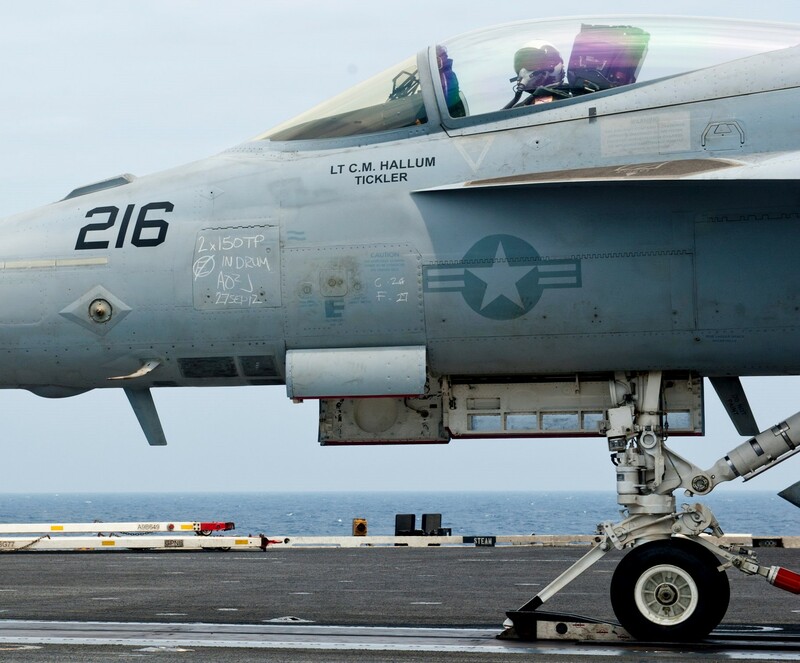 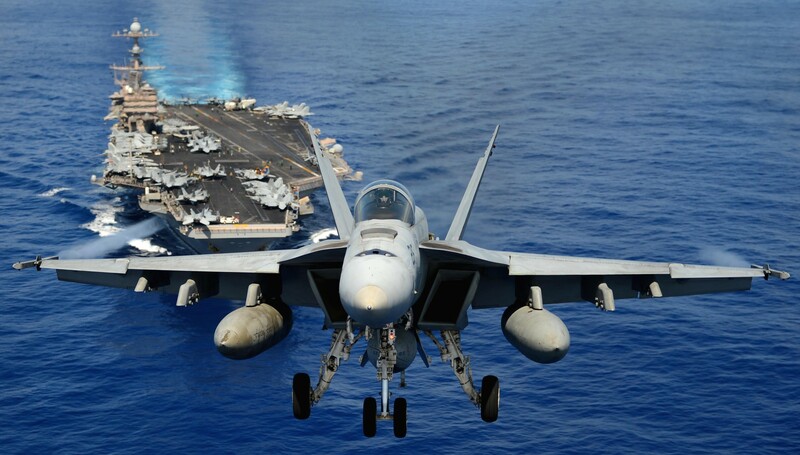 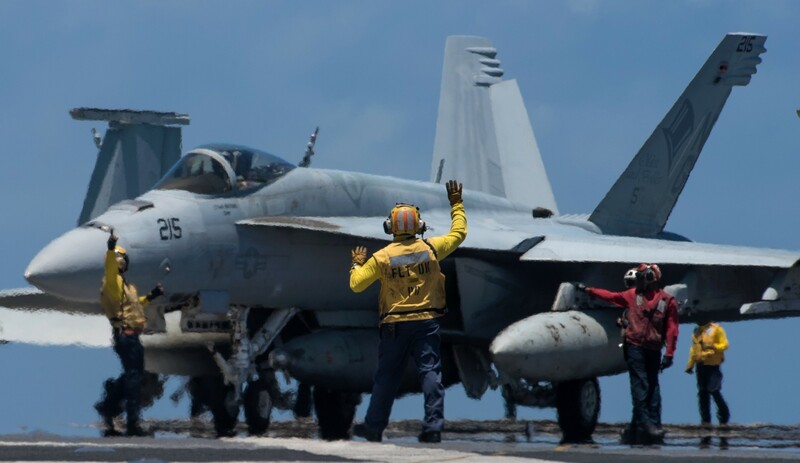 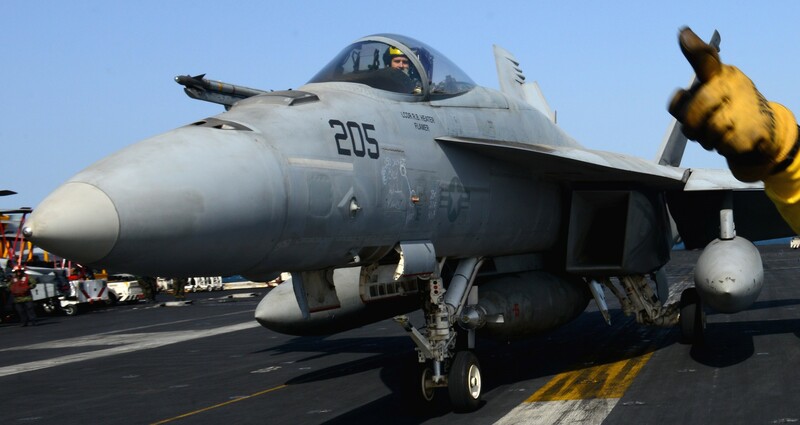 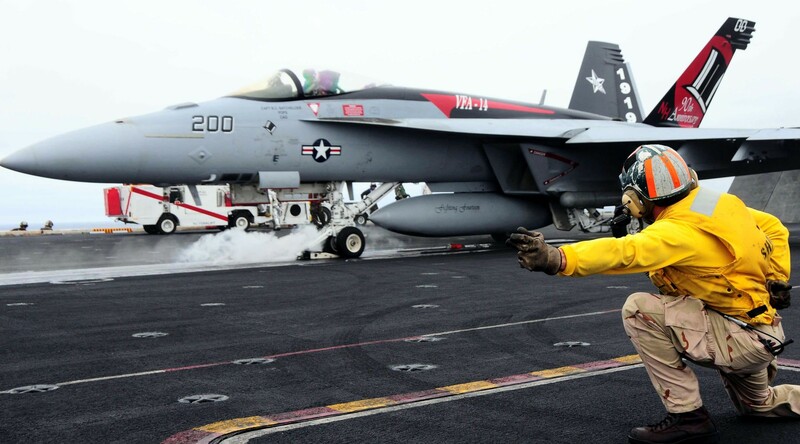 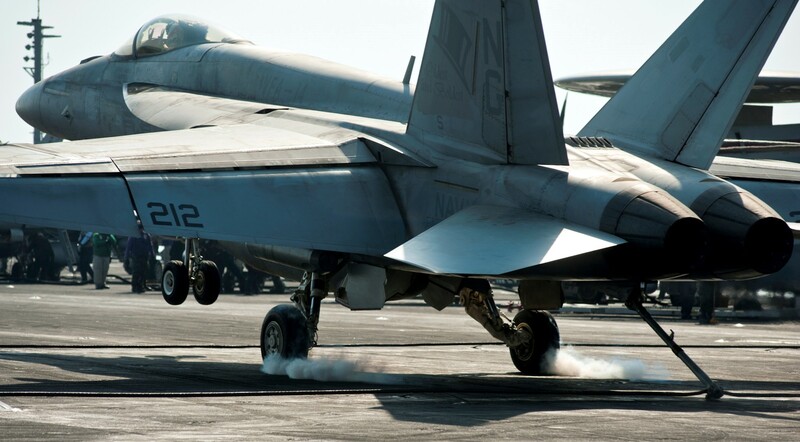 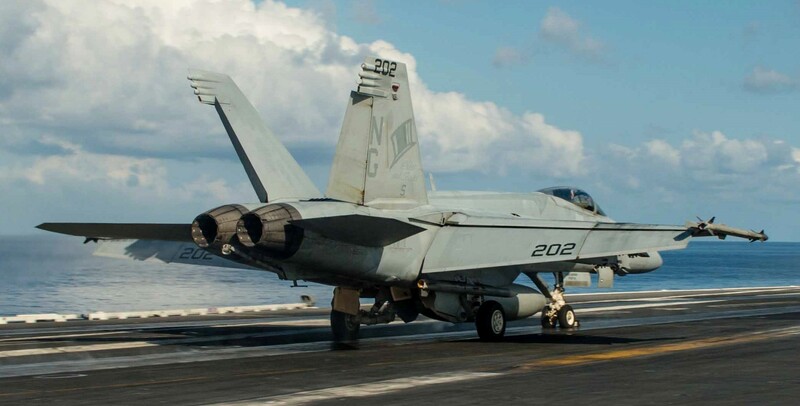 On 6 April, the Hornets returned to USS Nimitz. 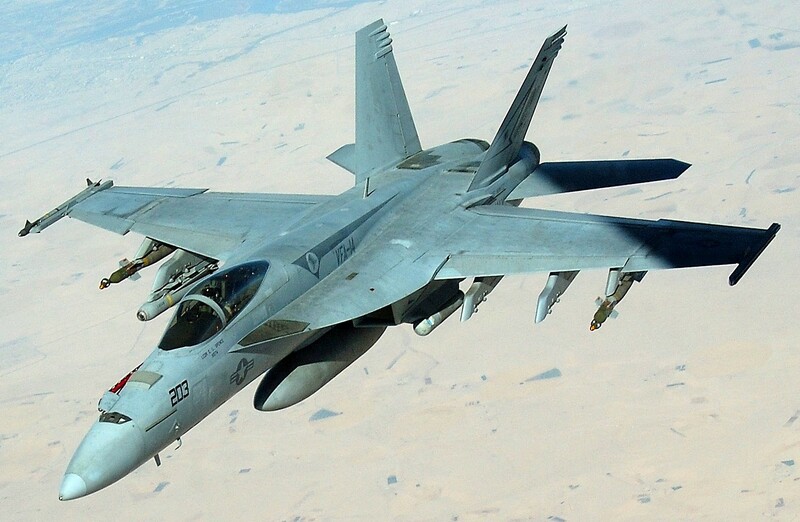 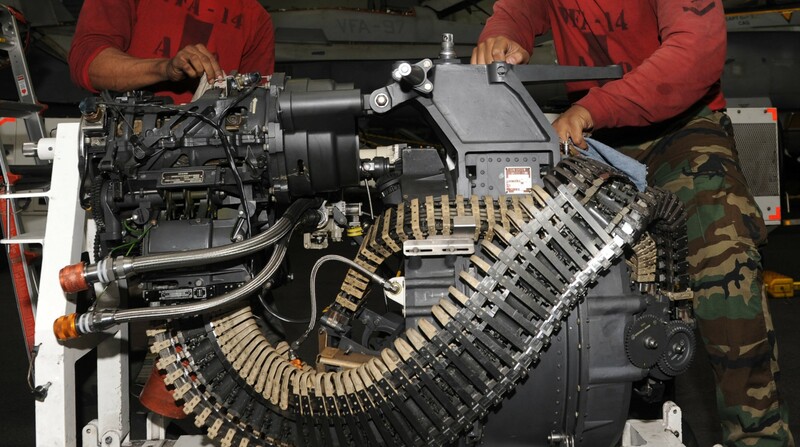 During OIF, VFA-14 expended laser-guided bomb's, JDAM bombs and AGM-65 Maverick missiles and conducted numerous long-range missions to northern Baghdad and Tikrit. 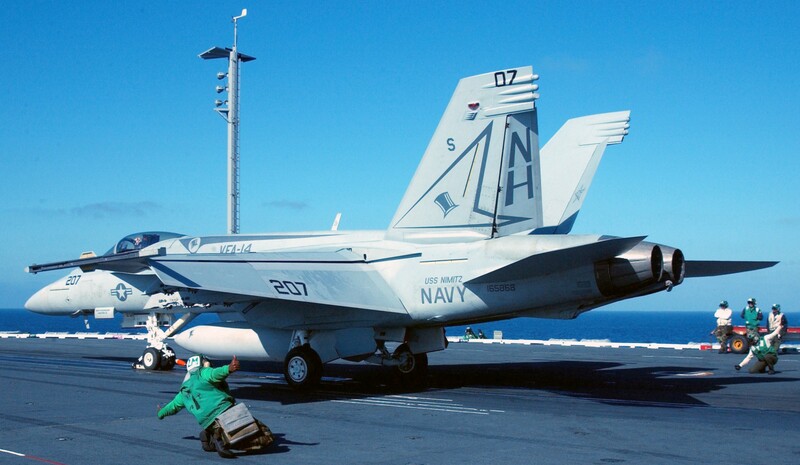 After its OIF cruise in 2003, VFA-14 conducted Air Wing training at NAS Fallon and made the maiden deployment with USS Ronald Reagan (CVN-76) in 2004, the cruise took them from Virginia to California around South America. 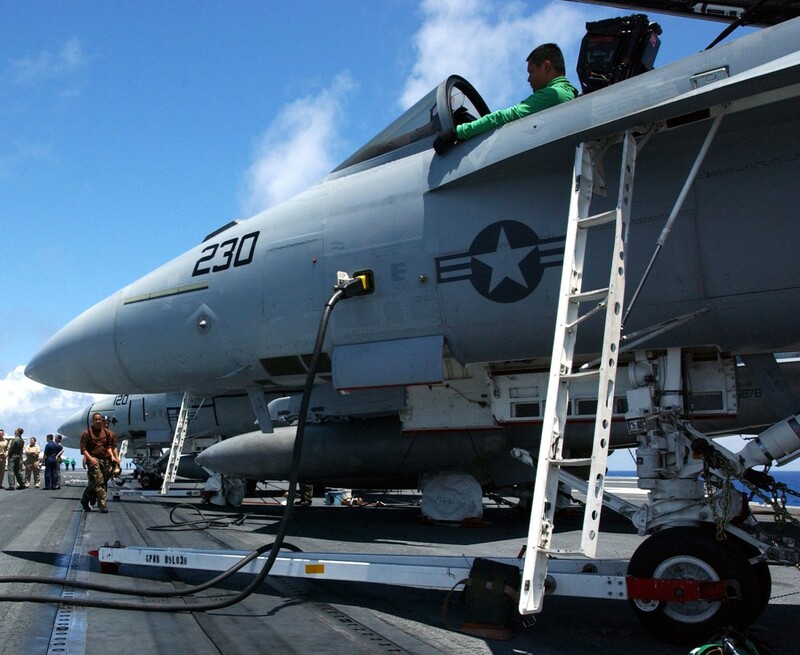 After work-ups in 2004 they deployed for a 2005 cruise, supporting OIF and flying over 2,100 sorties and over 4,300 flight hours. 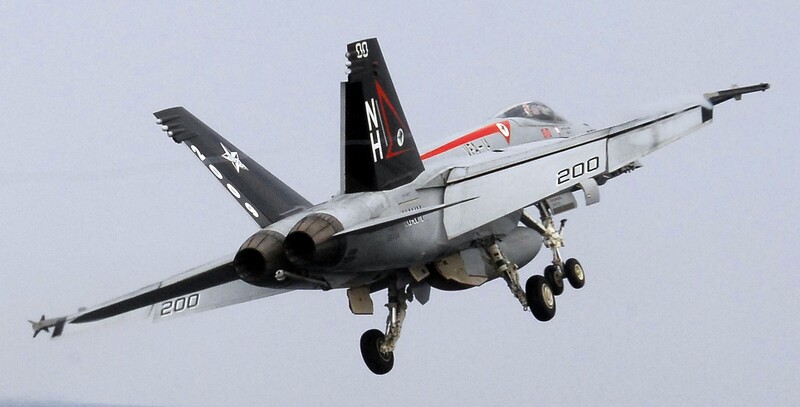 In 2006, VFA-14 made detachments to NAS Fallon and a joint exercise with the Royal Air Force to Scotland. 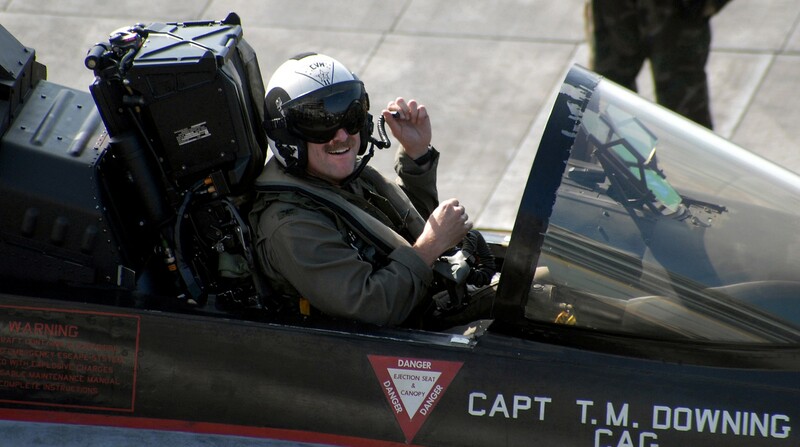 Training persisted through 2006 with a Strike Fighter Advance Readiness Program (SFARP) with a three-week detachment to NAS Fallon. 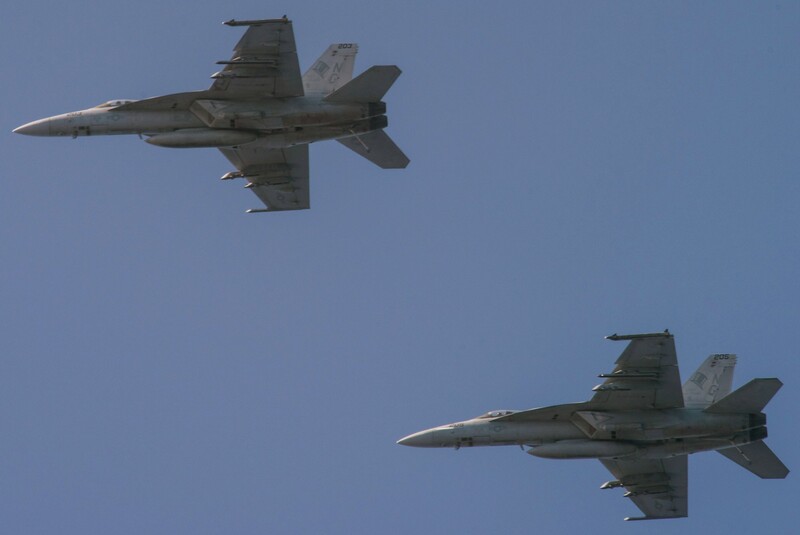 VFA-14 and CVW-11 participated in Navy Fleet Week in San Francisco in early October. 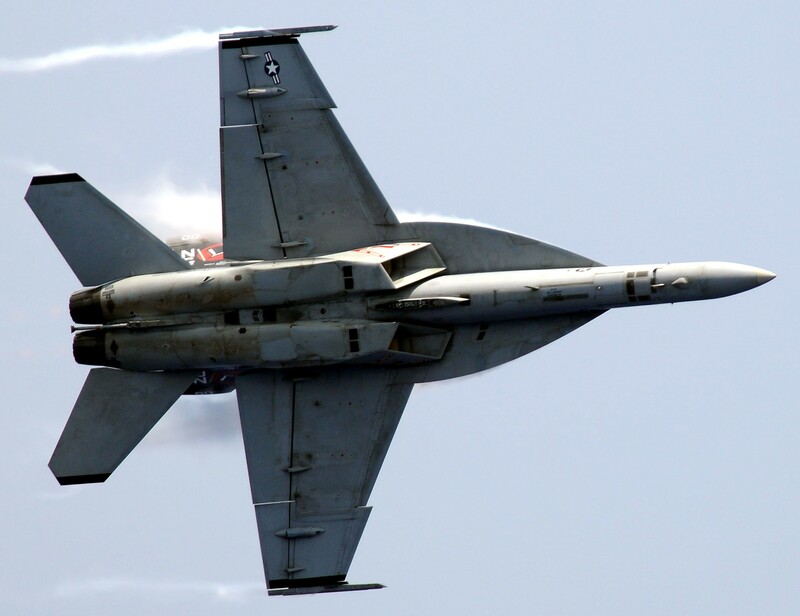 During this period, two F/A-18Es made a flyover during a 49ers game and several Tophatters donated time to a community relations project renovating a local school. 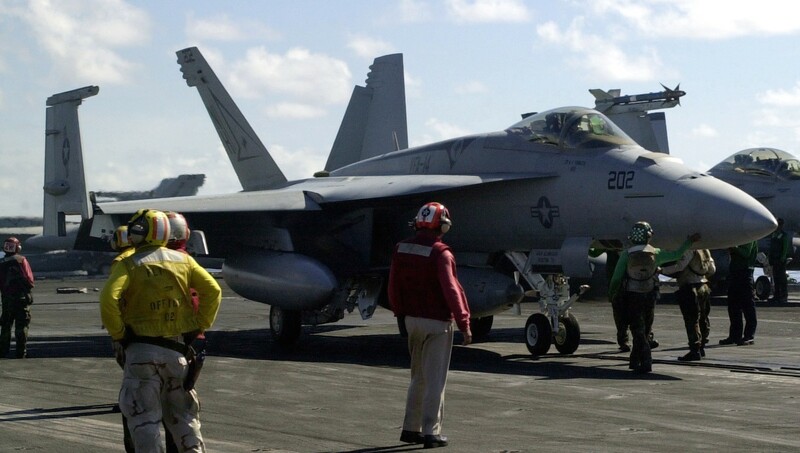 Training continued into 2007 in preparation for the up-coming GULF/WESTPAC deployment in support of OIF and OEF, and exercise Valiant Shield near Guam. 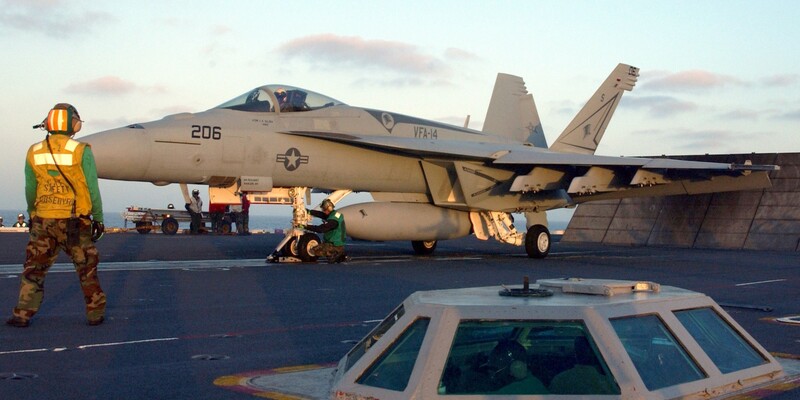 On 18 January 2008, it was announced that CVW-11 would deploy on 24 January to the Pacific for a surge-deployment on board the Nimitz. 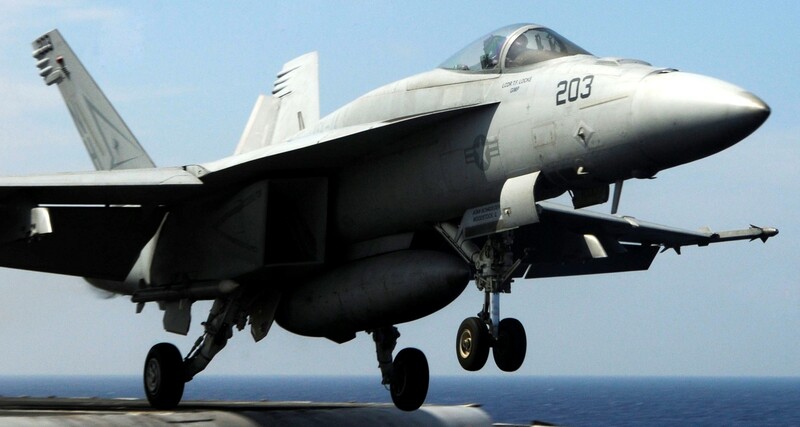 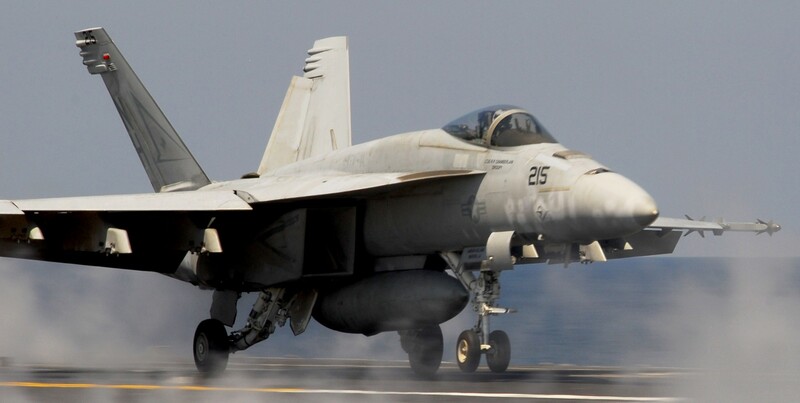 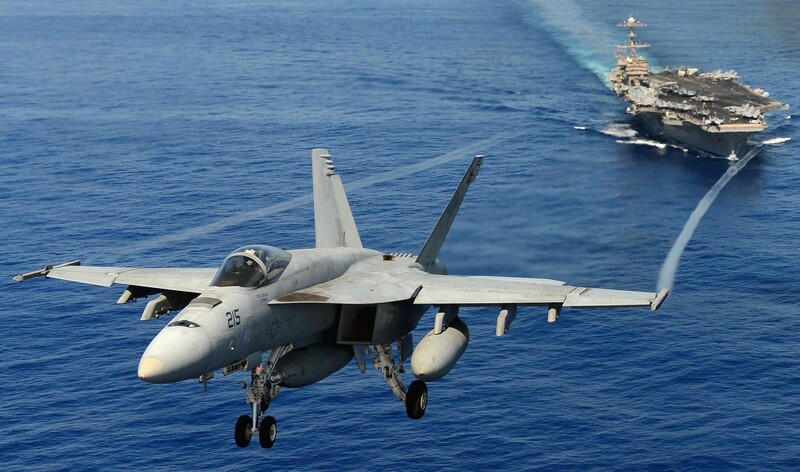 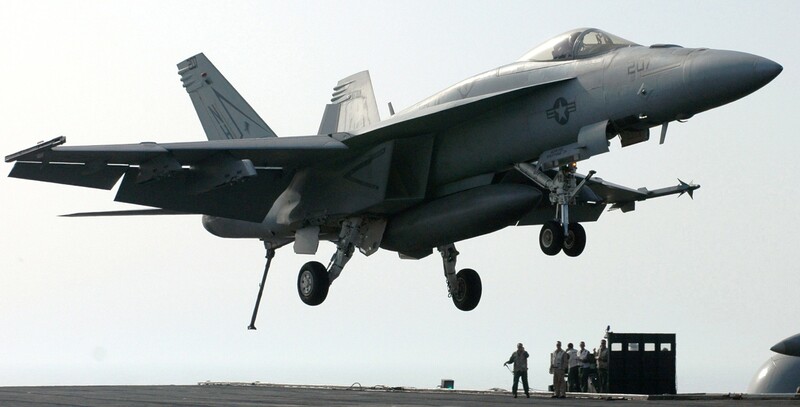 VFA-14 and VFA-41 changed air wings and carriers to CVW-9 and USS John C. Stennis (CVN-74), and on 27 July 2011 CVW-9 deployed onboard USS John C. Stennis to support operations in Iraq and Afghanistan, counter-piracy and maritime security operations.